Your Invitation to the Next Meetup! Let’s meet up at the new Pineapple Lanai at the Polynesian Resort! Buy a Dole Whip if you want, pull up a chair, and let’s visit! Goodie bags sponsored by Homes4uu.com! We hope to see you there! Recently, Tony and I were very honored to interview Stephen Wancha, Director of Food and Beverage at Four Seasons Resort Orlando at Walt Disney World Resort. Stephen has been one of my all-time favorite guests on the Disney Parks Podcast. He has a passion for his work at the Four Seasons that truly shines. Click the photo above to be taken directly to the podcast, or check it out on the YouTube Video below. As you listen, get ready to learn more about all the wonderful dining experiences you can enjoy in the brand new (stunning!) resort. If you just can’t get enough of food at the Four Seasons (I know I can’t!) click HERE to check out video and more from our first visit to Ravello! In Stephen’s own words, “Our food and beverage program is a true dining destination for Orlando locals and guests alike, where great food and innovative concepts meet passionate, attentive service.” I couldn’t agree more! “In a relatively short period of time, Stephen Wancha has lived in 10 different major cities (returning to live in three of the cities twice), so it’s easy to see why he developed a propensity for travel, and in turn, for dining out. The affable Wancha, Director of Food and Beverage for Four Seasons Resort Orlando at Walt Disney World® Resort, brings 10 years of Four Seasons experience with him to lead the Food and Beverage operations at the Resort, which includes five on-site restaurants and a large-scale banquet operations team. Prior to joining Four Seasons Resort Orlando, Wancha’s first Director of Food and Beverage position was at Four Seasons Hotel St. Louis. At the time, Wancha was 28 years of age, making him the youngest Director of Food and Beverage among all Four Seasons properties worldwide. This coup alone is a testament to the wealth of food and beverage knowledge Wancha brings. The Resort’s star restaurant is Capa, the 17th floor rooftop Spanish-influenced steakhouse that offers a romantic setting above the treetops and a stunning view of the nightly Magic Kingdom Park® fireworks. Ravello is the Resort’s Italian concept; PB&G is the Southern rotisserie; and Plancha is a Cuban American grill. One of Wancha’s favuorites is Lickety Split, a grab-and-go on the lobby level, offering a variety of cappuccinos and lattes, smoothies, Italian donuts and pastries, gelato and more. Wancha, a coffee connoisseur, has set up the ultimate coffee bar. When not fueling up on java, Wancha’s other beverage of choice is wine. An avid wine collector, Wancha is proud of his large private collection of mostly New World/Napa wines and Old World/Italian wines. He’s excited about the wine program at the Resort, with 400 labels and many available by the glass. Wancha’s own famous Sangria is on the menu at Capa. For more on the Four Seasons Resort Orlando at Walt Disney World Resort, check out our interview with Thomas Steinhauer; Regional Vice President and General Manager. Disney news, information, hints, tips and secrets from the Disney Parks around the globe! Interviews with some of your favorite Disney celebrities AND correspondents! Prizes, contests and meetups! This podcast has got it all! Disneyways and Disney by the Numbers are adding some new avenues to bring you more Disney magic – and we hope you will come join in on the fun. 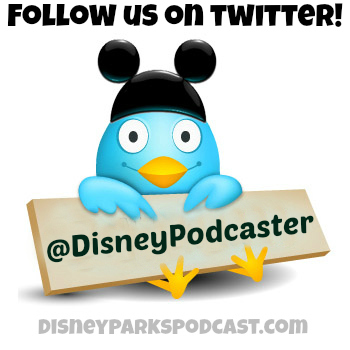 Welcome to the Disney Parks Podcast! Podcasts are multimedia digital files made available on the internet for downloading to a portable media player or directly on your computer. It’s like a radio show that you get to listen to whenever you want, such as when you are on a walk, at they gym, or driving to work. There are podcasts on just about any subject imaginable – and Disney is one of the best subjects out there. Thanks to my friend Tony Caselnova of DisneyByTheNumbers.com – I am extremely overjoyed and thankful to be a co-host on the Disney Parks Podcast. In addition to co-hosting TWO SHOWS A WEEK on the air, I am having a blast helping to organize meetups with our listeners, assisting with social media, writing scripts, working on the Disney Parks Podcast website, and administering contests! There is so much to do – working together has been awesome – and the show has opened doors for Tony and I that we could have never opened on our own. We have enjoyed things like backstage tours of Walt Disney World, new relationships with stars in the Disney community (folks that we never dreamed we’d even get to meet!) and wonderful feedback from our listeners and friends. I am always in a good mood and feeling great during and after each podcast. I hope you will tune in and enjoy the same! Tony and I are local to Orlando and consider our home Park to be Walt Disney World. What makes the Disney Parks Podcast different, is that we strive to give you news from the Disney Parks around the globe! This is why we TREASURE our featured on-scene correspondents. They are a crucial part of the show, and each one of them is a local to the Disney Park they represent – around the globe! Laura, our Disneyland Paris correspondent made this awesome video when she first came on board, and we got such a thrill from it. Thank you Laura! Podcasting has been on my list of things to do since I began blogging here at Disneyways, because it fits in to our mission and goal to bring you Disney magic where ever you are! I can’t begin to tell you how thankful I am for this wonderful opportunity. I truly love being a part of the many different facets in front of the mic, and behind the scenes. The show has been very successful and has a large audience, but if you aren’t yet listening in – we need YOU! You can catch the latest episode by visiting DisneyParksPodcast.com directly from your computer and clicking “Listen Now!” on the Disney Parks Podcast site. From there, just choose your episode. Look for the small grey circle with the sideways white triangle inside. Click on that circle and make sure your speakers are on. The show will begin immediately. You can also download the Stitcher Radio App here. Find us on YouTube here. Head over to iTunes and subscribe! This will give you access to each episode as soon as it is released. To learn more about how to subscribe to a podcast in iTunes click here. If you like what you hear – please rate us with lots of gold stars. This makes it easier for new people to discover Disney Parks Podcast when they are searching to upload a new one to their collection. Please head over and “like” our facebook page HERE and add us to your interests list! I will be posting there daily to help keep you up to date on the latest! You can also follow us on Twitter and Pinterest! Thank you so much for the support you have already shown me in this new endeavor. Disneyways readers and subscribers are AWESOME and I appreciate you all more than you will ever know. PS Do you want to be a part of The Disney Parks Podcast? We are looking for individuals and businesses who offer only the BEST in Disney related products and services! Please let us know if you (or someone you know!) is interested in sponsoring a future event, giveaways, or even future episodes. We do not accept coupons or any prizes that require action on the winner’s part. Just fill out this form for more information! This episode of the Disney Parks Podcast brings you the Disney news mixed in with some really interesting Magic Kingdom hidden gems! What question should you ask the “maids” at the Haunted Mansion? Where can you find a picture of Walt in the Carousel of Progress? Why can’t you buy gum at the Magic Kingdom? Why is the walkway at the Magic Kingdom red? Get your answers to these questions and more on this episode! Look for the small grey circle with the sideways white triangle inside. Click on that circle and make sure your speakers are on. The show will begin immediately. Leave us a message at 407-476-8898 with some of your favorite Magic Kingdom hidden gems. Your voice mail might be played on the show! Last night I got some exciting news. During the month of April our number of downloads per show has more than tripled. That means that there are 3 times as many potential listeners than there were just last month. We want to thank everyone who is tuning in. We are working hard to keep bringing you 2 exciting shows every week. We have some amazing interviews that will be published in May. Thank you for telling your friends about us and for leaving all those great reviews in iTunes! If you haven’t given us a try just yet, you can catch the latest episode by visiting DisneyParksPodcast.com directly from your computer and clicking “Listen Now!” on the Disney Parks Podcast site. From there, just choose your episode. We are super excited to bring you The Disney Parks Podcast interview with Lonnie Burr – one of the original Mouseketeers from the Mickey Mouse Club TV show! Lonnie Burr has had an amazing career, and he is not done yet! In addition to Uncle Walt, and Annette Funicello (see Lonnie’s photo with them above) Lonnie has worked with Julia Roberts, Robin Williams (in Hook! ), Ginger Rogers, and one my personal favorites – Elvis Presley himself. With years of acting, singing and dancing to Lonnie’s credit – it is very likely you have seen him in many of your favorite TV shows, movies or plays. It has been a tremendous honor for me to get to know Lonnie over email and we are delighted that he has been one of our very special guests on the podcast. Check out Lonnie’s website HERE. Lonnie’s book “The Accidental Mouseketeer” is now available from Theme Park Press – and you can buy your copy HERE! During the podcast Lonnie mentioned a question Walt Disney asked him on one occasion, when they saw each other on the studio lot. What was the question Walt asked Lonnie? Hint: it is only 5 words. 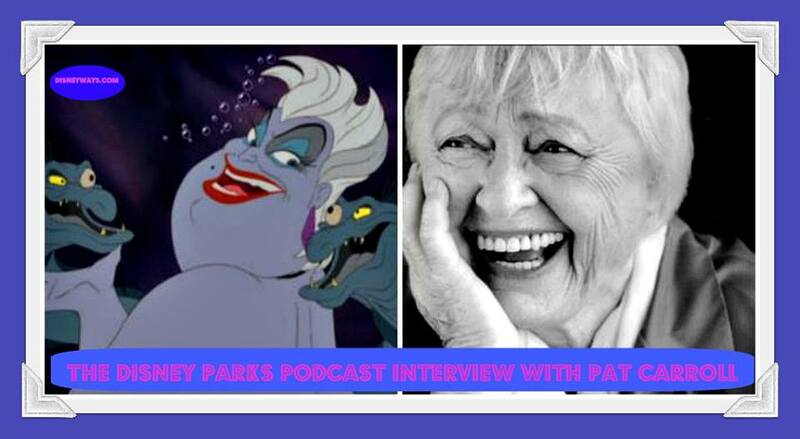 Send us your answer to Disneyparkspodcast@gmail.com – by April 15th, 2014. We will draw one winner from all the correct answers to win a free printed copy of Lonnie’s new book! The winner will notified by email and will have 24 hours to respond before we pick another winner. Check out this awesome video of Lonnie that was created in tribute to him for his 70th birthday! Here is another fun one from way back in 1975 featuring Lonnie and several other original Mouseketeers! Episode 107 of the Disney Parks Podcast is our very special interview with author Ridely Pierson. March 24, 2013 was a pretty big day for me. I got to have lunch at Epcot with my very sweet friend and because of timing – I was able to skype with Ridley and Tony for this interview from my super (not so) secret location inside Disney’s Beach Club Resort! Ridley Pearson, is truly an amazing man with an amazing career. He has brought a lot of joy to thousands (and thousands!) of people. I think you can tell how nervous I was. Special thanks to my friend Beatrice Feeney for supplying us with a couple of great questions for Ridley. You can catch this episode by visiting HERE. Look for the small grey circle with the sideways white triangle inside. Click on that circle and make sure your speakers are on. The show will begin immediately. Check out Ridley’s blog and all of the wonderful books and products that he has available HERE. Thanks for tuning in and have a magical day!